Louise, thank you so much for this web site, I have rarely seen such great information and resources, and I have only scratched the surface!! Why, thank you so much, Linda - lovely to have positive feedback. This blog and and the Resources section of the website were designed to help others - comments like this encourage me to continue adding new content in the knowledge that I'm achieving my objective. Thanks again! As always, you have a great article here, which is well reasoned and clear. I am delighted that it confirms the route I have taken - first a cheap course comparable in price to the family evening out, and then the same distance learning course you did. It certainly did show me just where my weaknesses lie - always a good thing when learning. Thanks so much, Ruth - good to hear an endorsement of the article's advice from someone else who's had to make these difficult decisions. Can you suggest some Providers who provide training courses for Proof Reading/ Editorial Service/ Indexing. How good is 'writersbureau.com'? Without knowing which country you live in, Mathew, it's difficult to point you in the direction of particular training providers. There's a list of UK providers here: http://www.louiseharnbyproofreader.com/4/post/2011/12/proofreader-training-courses.html; some information about what UK publishers have to say about training here: http://www.louiseharnbyproofreader.com/4/post/2011/11/does-training-matter-what-publishers-say-about-proofreading-editing-courses.html; and information about US training here: http://www.kokedit.com/ckb_2.php. I can't comment on which particular course is good or not because I only know about the one I did: The PTC's Basic Proofreading by Distance Learning. I thought this was outstanding and more info about that can be found here: http://www.train4publishing.co.uk/courses/distance-learning/basic-proofreading. They also do a distance learning copy-editing course. If you live elsewhere then I suggest you ask your national editing society for guidance. A list of these can be found here: http://www.louiseharnbyproofreader.com/editing--proofreading-societies.html. Many of the distance proofreading/editing courses are geared towards those looking to find work, and the course content reflects this. I want to improve my skills within an existing job - can you recommend and courses or companies? If you live in the UK, the SfEP runs self-improvement courses. Take a look at this link: http://www.sfep.org.uk/pub/train/which_course.asp. It outlines the courses available and what level they are aimed at -- beginners, improvers or advanced practitioners. The PTC also offers a number of courses that help editorial freelancers expand their range of skills, too: http://www.train4publishing.co.uk/courses/short-courses/editorial. I realise that not all these are available via the distance learning route, but I nevertheless recommend these two organizations in the UK because publishers recognize them. When I worked in-house in the 1990s and early 2000s, they were the bodies to which management turned when they wanted to commission editorial training for their staff. I think this says something about the quality of the learning provided. Hi Stuart. If you look at these two organizations' websites, you will be able to identify which courses are available via the distance learning route, and whether they are suitable for your skill level. You could also check the Editorial Freelancers Association website. The EFA is based in the US -- keeping a look-out on their training schedule may help. It's difficult to give accurate advice without knowing specifically what area of your skill set you are looking to improve. The Editorial Bootcamp runs a series of webinars that may be of interest. I've heard my US colleagues talk highly of this company: http://www.editorialbootcamp.com/webinars/. And the people at Copyediting.com (whom I follow via social media) always have great information to share, and they host a range of online audio conferences: http://www.copyediting.com/courses-events. Your national editorial society would be the best place to enquire: there's a list here: http://www.louiseharnbyproofreader.com/editing--proofreading-societies.html. Many former lawyers specialize in this type of work, though I proofread legal books for publishers. See this article: http://www.louiseharnbyproofreader.com/4/post/2012/10/proofreading-law-books.html. I don't have specialist legal training, and for that reason I won't take on legal work for non-publisher clients. I have heard Chapterhouse Publishing are quite good? Have you had any dealings with them? I haven't, Kenny, so I can't offer an evaluation of the course. Sorry! Perhaps ask around on some of the LinkedIn discussion boards. Or call up a few publishers and ask which training organizations they rate highly. Hi just to alert you that case study 2, first word, last line I think should be 'off'. Cheers. Good to find your blog with wonderful article. the future understanding in the market. Hello. Thank you so much for all of the fantastic information on this site. I was a Fiction Editor with D C Thomson 15 years ago, then left to go into law - a career I've detested for pretty much the entire 15 years. I've now escaped, due to redundancy, and am hoping to find some proofreading work. I didn't have a clue where to start, especially as DCT did all their training in-house and I have no relevant formal qualifications, but your site makes it all seem a little less intimidating! Thanks again for pointing me in the right direction - your efforts are much appreciated. Hello Louise, I'm a 57 year old Canadian man considering a new career path, and the idea of becoming a proofreader is an intriguing one for me. The question I have for you, in your opinion is advancing technology a viable threat to professional proofreaders? We already have a myriad of spellcheck programs to clean up sloppy spelling, grammar and sentence structure, do you foresee the day technology will render this field as relevant as the horse and buggy? Thanks, Dan. I think it’s unlikely that any software will be developed in my lifetime that replaces the human eye. Digital tools are fabulous – I use them myself when commissioned to proofread. They can alert the writers (and editorial folk) to possible incorrect homophones, point out inconsistencies in hyphenation and capitalization (PerfectIt is an excellent example), suggest missing references (ReferenceChecker is my favourite), and indicate repletion of identical words (Word will do this). And we haven’t even started on macros! But what about the incorrect styling of a section head, an inconsistent chapter drop, a missing page number, an incorrect (but correctly spelled) running head, a word break at the bottom of a recto page, a page number placed in the wrong position, a word break in a proper noun, an incorrect spelling in a piece of quoted original material, a missing table or figure caption, an empty cell in a table, an incorrect cross-reference (e.g. “see Figure 4.1” when the author meant 4.2), a missing attribution to a quotation, a paragraph of text that the typesetter has inadvertently deleted (such that the text is perfectly punctuated but illogical?) The list goes on. My point is that a human brain is needed to make decisions about these issues because the “rules” about what is right and what is wrong can’t necessarily be digitized. Proofreading is not just about checking Word files. Publishers hire me to check typeset page proofs. It’s more than spelling and grammar; I’m checking layout too – that the book “works” according to industry-recognized standards. And even then there are still considerations of what to change and what the impact will be. If I make a change on a page that knocks all the text that follows down by one line, might I introduce other problems (like widows or orphans, bad word breaks, or unbalanced facing pages) that the publisher wishes to avoid? Might I damage an index that’s being done by someone else simultaneously? Software can’t make these decisions because we’re not dealing here with “rules”; rather, we’re dealing with preferences concerning logic, layout and house style. My proofreading work requires me to work out what to change, but it also requires me to work out what to leave well enough alone. Even when we’re working directly in Word, software can’t spot everything. Imagine an academic paper co-written by two scholars. They both push it through several software tools that check for grammar, punctuation and spelling. During the final read-through, one author places a square-bracketed comment in the text that’s meant for her colleague. It says: “Should we cite the article by Joe Bloggs? It’s rubbish, but he’s the editor-in-chief of the journal we’re submitting to so perhaps we should include it! You decide.” I can’t imagine any type of software that could pick this up. And if the colleague only skims the final draft and gives the go-ahead for it to be submitted to Joe Bloggs’s journal, that’s a spanner in the works! It’s an extreme example, I know, but I think the point is well made. 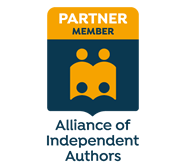 I’m completely pro tools that help writers, editors, proofreaders and indexers do their jobs more efficiently and productively. But I really do believe they’re a complement rather than a replacement, and I don’t see this changing. Hello Louise and thank you. Something positive, informative and free! I recently paid for a Proofreading course having done a certain amount of research but I am disappointed. Having read your article Louise, I feel more positive and ready to take the next step. Hi, Patricia! So glad you found it useful. Check out the Training and Starting Out archives on this blog too. I've offered some other approaches to thinking about the issue. Sorry to hear that you've been disappointed with a previous course. That's always so frustrating and demotivating. Finding the right training 'home' is essential. I know this from my own experience - we need to feel that our investment's really taking us forward in the right direction. If you're in the UK, you might like to consider joining the SfEP. It's a brilliant community of editors at all stages of career development, and there's a ton of support that goes well beyond training. Even if someone is not in the UK, SfEP is well worth joining. It's an editorial association with a great international outlook, and excellent provisions for those not in the UK. Are there online proofreading and editing courses you would recommend (or not recommend)? I've looked at Chapterhouse, which some people on online forums seem rather critical about, and the College of Media and Publishing (CMP). I know getting work in this field is very competitive, regardless of training and certificates (especially for someone with no proven experience), but I want to learn the basics, and something that is geared to the reality of the type of work available. With online courses costing several hundred pounds, I'd like to know if it's wasted money! My grammar and spelling is strong, and my job involves a lot of editing and informal proofreading of other people's documents, as well as writing everything from strategic plans to visitor information. I'd recommend the Publishing Training Centre and the SfEP. They're recognized by the UK publishing industry (though I'm not saying others aren't). I have personal experience of their training, too. I'm not criticizing other courses; rather, it's that I've nothing on which to base an opinion. I've just recently retired as a court shorthand writer in the Scottish law courts. The job entailed proofreading the typewritten record of proceedings. I would like to keep working, as retirement at 61 is just not for me! I wondered if you could recommend a proofreading course? Many thanks. Great post. Have you heard of chapterhouse proofreading course? I was thinking of taking it but I'm not sure how helpful it would be in me gearing towards proofing as I don't know if tge certificate hold any weight. Any advice would be helpful. Do you have any up-to-date training info for Proofreaders for 2018? If you go to the training archive in the side bar, and the Q&As, you'll see some recent advice. I am a 79-year old retired electrical engineer living with my wife in the Eastern Cape of South Africa. I am looking for an centre where I can get affordable, but good, proofreading training online. Being an engineering type, I have good attention to detail. I also have a good knowledge of both English and Afrikaans. Any ideas that you may have of suitable training centres in either South Africa or the UK will be very welcome. As for the UK, I recommend the training courses of the SfEP and the Publishing Training Centre. There are others but those are the two I have direct experience of.